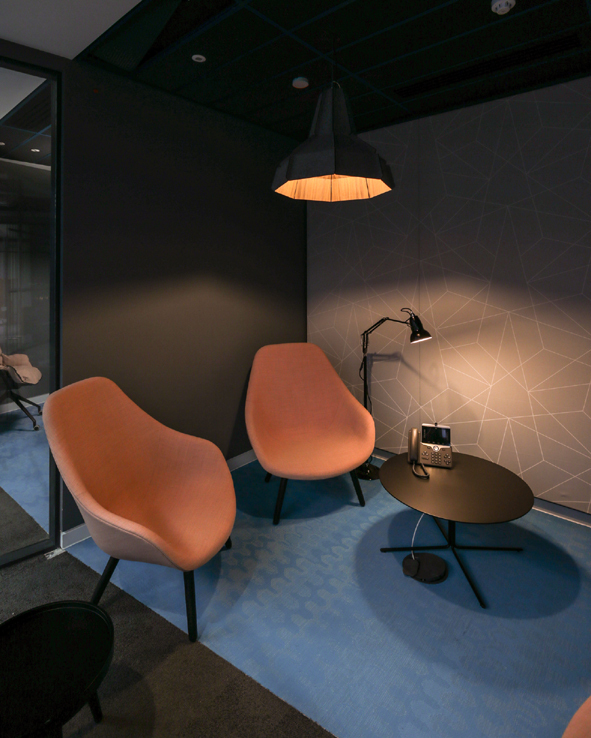 Some photos just in courtesy of DLight Waterford of the new Barclay’s Bank interior by RKD Architects. DLight commissioned 3 of our Module 08 Pendant lights and a large Lightweave Stack Floor light in Maple veneer for some of the breakout spaces of this large office project and we are delighted to provide Irish Designed and Made custom lighting for such a high profile client. The Module pendant not only provides functional focused light but also gives acoustic baffling with it’s felted exterior whilst the Lightweave fitting is perfect for more atmospheric warm light in chill out type spaces. Both fittings come in a variety of materials and colours so give us a call to find out more. Designed and Made in Ireland since 1997.